Keith Jorgensen was instrumental in the creation of both the PBA program and the annual golf tournament, which has funded over $75,000 a year in scholarships for our players attending the University of Lethbridge and Lethbridge College. 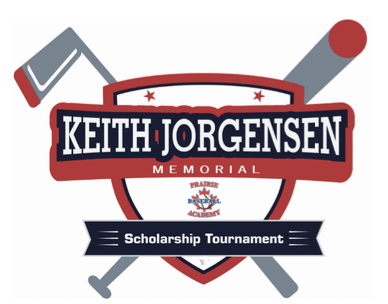 The third annual Keith Jorgensen Memorial Golf Tournament will be held at the Paradise Canyon Golf Club on May 14th, 2019 and we hope you participate in the event by being a golfer, a sponsor, or both. The format is a typical scramble with teams of 4 and a maximum of 144 golfers can partake in the event. The event includes a tee gift, hole prizes, a 50/50 draw, prizes for the top 3 teams, and a raffle where every team walks a way with a gift. Lunch and dinner are provided for all entries. Every year players from the PBA team greet you at the start of each hole. It is a chance to get to know some of the players. The past 6 years the tournament has taken place after CCBC Championship wins. It shows how much the kids care about this program, and what it takes to be so successful. Please fill out the registration form and return it to the Spitz Stadium Office located at 2425 Parkside Drive South, Lethbridge, Alberta. The registration form can be found by clicking here! If you have any questions, please contact us at 403-320-2025.